Inefficient routes drive up labor costs, reduces your workforce efficiency and leaves your customers feeling unsatisfied. 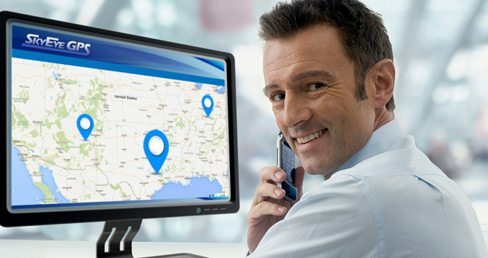 The SkyEye GPS Dispatching and Trip Planning solution allows dispatchers to create and send routes to drivers electronically. Using an in-vehicle terminal, smartphone or tablet drivers are able to receive their destination and complete stops with turn by turn navigation. As stops are completed, dispatchers are automatically notified and performance statistics can be measured. Provide a better, more efficient service to your customers while cutting operational costs with the SkyEye GPS Dispatching and Trip Planning solution. Interested in SkyEyeGPS Electronic Dispatching?